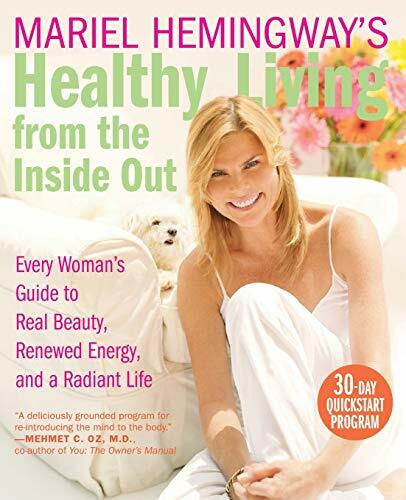 [PDF] Mariel Hemingway's Healthy Living from the Inside Out: Every Woman's Guide to Real Beauty, Renewed Energy, and a Radiant Life | Free eBooks Download - EBOOKEE! Description: No more bossy diets or impossible exercise routines. Instead, actress Mariel Hemingway divides healthy living into four foundational areas and reveals that looking and feeling great are just a few simple choices away. Examining our attitudes toward food, exercise, home, and silence, this easy-to-use guide teaches you to break old patterns, listen to your body, and make the best decisions for your life. No comments for "[PDF] Mariel Hemingway's Healthy Living from the Inside Out: Every Woman's Guide to Real Beauty, Renewed Energy, and a Radiant Life".